The Nigeria Police has vowed to arrest Dino Melaye, Senator representing Kogi West. 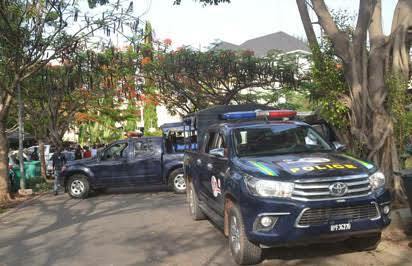 Dino had yesterday raised alarm of a police seige laid at his Abuja residence. Moments after raising the alarm, the Police forcefully gained access to his compound and has continued with the siege. The police personnel believes the lawmaker is in the building despite denial from Melaye. Stating its reason for the siege, the Police in a statement from its spokesman, Jimoh Moshood, said the Senator is wanted in connection to an alleged attack on a police personnel. “The Police operatives currently in the residence of Senator Dino Melaye are to effect his arrest to answer to the case of attempted culpable homicide on the shooting of a Police Officer, Sgt Danjuma Saliu, attached to 37 Police Mobile Force (PMF) while on duty at a stop and search point along Aiyetoro Gbede, Mopa Road in Kogi state,” the statement from Moshood said. “The Police Officer is yet to recover from the gunshot injury he sustained during the attack and still under intensive medical care. 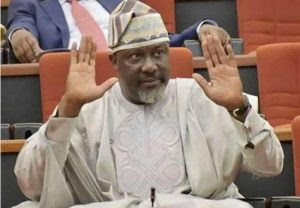 “The Police investigators have written the Clerk of the National Assembly for Senator Dino Melaye to report at Kogi State Police Command, CIID, Lokoja for him to answer to these offences against him under investigation in Kogi State Police Command but he has bluntly refused to report himself to the Police. “The Police operatives will continue to be in wait at the residence of Senator Dino Melaye until he surrenders himself for arrest. The offence for which Senator Dino Melaye is being investigated is capital in nature and not compoundable. “The Force will not tolerate attack on its personnel by any individual no matter how highly placed. The law must take its course,” it added. Melaye and the police have had a running battle. The latest development comes days after the lawmaker hinted of plans to abduct and inject him to death.